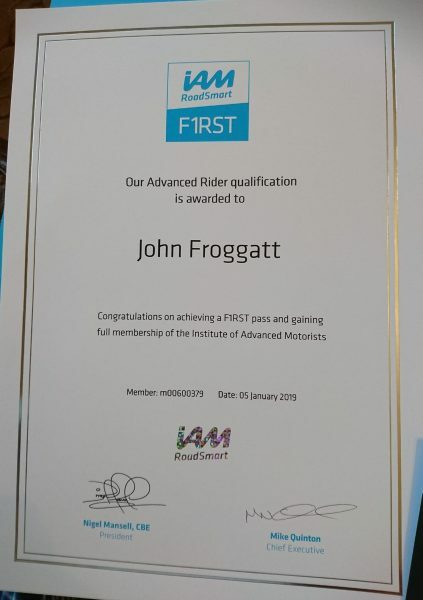 I would like to thank David Bettison for his patience and encouragement throughout my training for the IAM advanced qualification. Also a mention for Amanda Nixon and Mark Collier for their help too. I was surprised and delighted to get a First on my test. I thoroughly enjoyed the experience and intend to continue with the DAM.